Faced with chaotic and uneven processes of gentrification, today São Paulo has a serious housing deficit: the city lacks 200,000 accommodation spaces for its citizens and has a chronic lack of access to social housing facilities. Ocupação São João is an example of this reality, the occupation of an abandoned hotel being carried out in 2011 by families under the FLM – Frente de Luta por Moradia (Front for the struggle for housing) banner. The São João occupation is about more than housing however. For example, on the first floor there is a self-managed cultural center, the Centro Cultural São João, which aims to strengthen political participation through arts and culture. 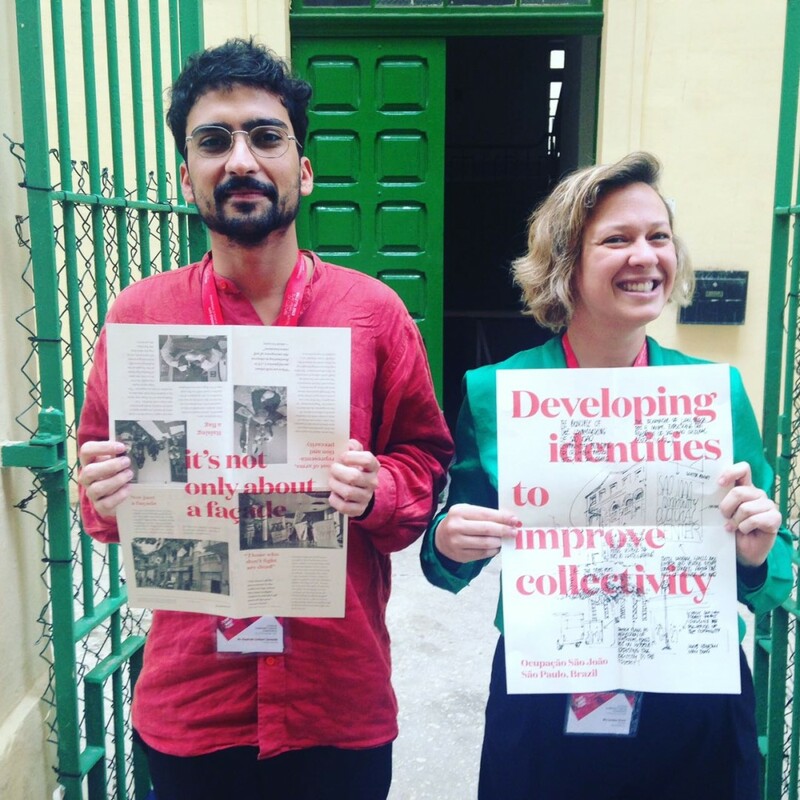 Lorena Vicini and Raphael Daibert presented Developing identities to improve collectivity at Cities as Community Spaces, a conference in Valletta, Malta on 25 November 2016. Previous Post 2016.5 – Lanchonete.org on ATAQUE!